A Jatex exclusive. 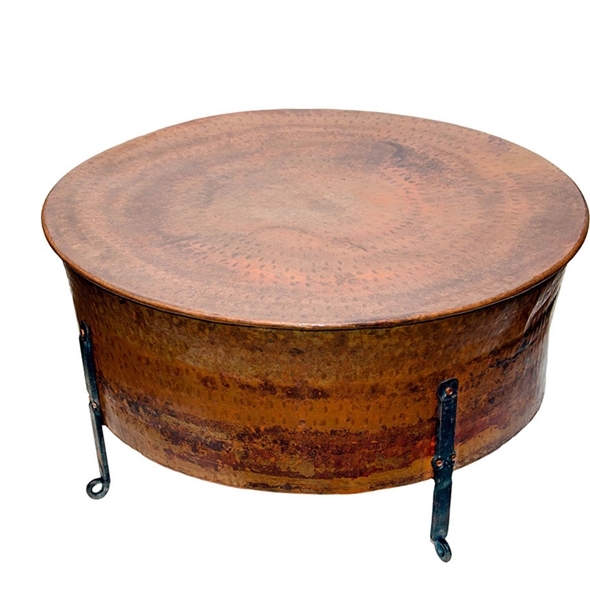 Solid copper table with iron legs. Size is 36" diameter and 19" high.